Size does matter! 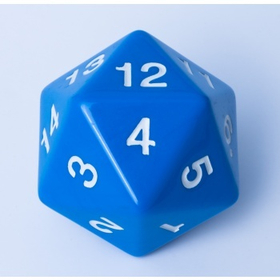 This huge 55mm diameter 20-sided die has faces numbered sequentially in countdown" order. making it easy to find the next number. Perfect for use as a scoring counter or making a really "big" statement in your role-playing game!"